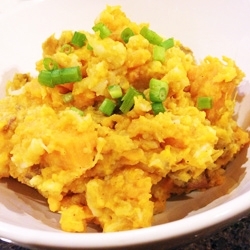 My low-cal mashed potatoes were created one night when I used leftover cauliflower to beef up mashed sweet potatoes. Clearly, an accident meant to happen — only 110 calories per cup, but loaded with nutrition and fiber! 1. 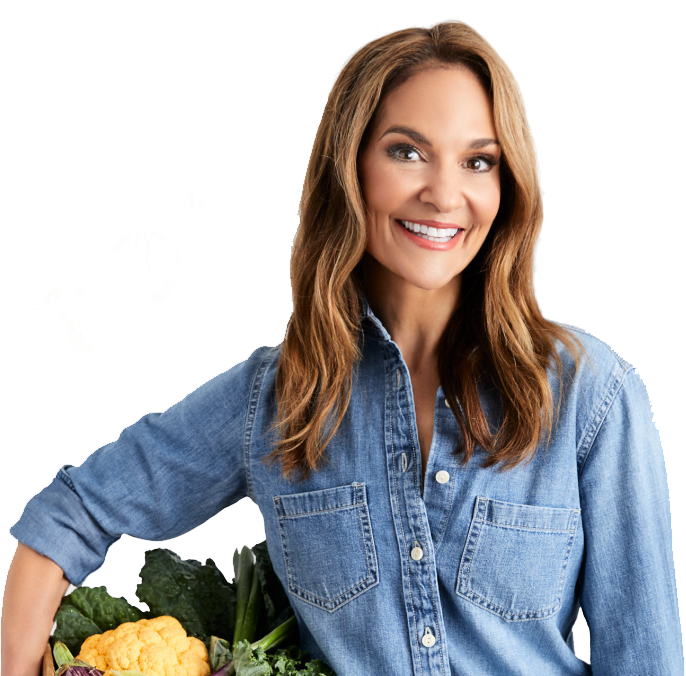 Steam the sweet potato and cauliflower over 1″ of water until fork tender, about 10 minutes (or soften the vegetables in the microwave). 2. In a large bowl, mash the potato and cauliflower with the broth. Stir in the sour cream, garlic powder, and nutmeg. If the mash needs more liquid, add more broth, 2 tablespoons at a time, until desired consistency is achieved. Season to taste with salt and black pepper. 3. Garnish each serving with scallion. *Note: For celiac disease, check chicken or vegetable broth and sour cream labels to ensure these products are gluten-free.